Bay Area Homes, Luxury Properties, San Jose Real Estate and Bay Homes. : Bay Area Homes - Los Gatos Homes for Sale. 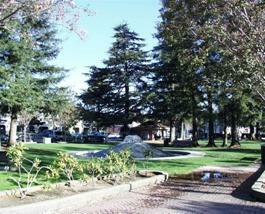 Bay Area Homes - Los Gatos Homes for Sale. The Town of Los Gatos is nestled at the base of the Sierra Azules, and is located approximately 60 miles south of San Francisco, in the southwestern portion ofSanta Clara County where the Santa Clara Valley meets the lower slopes of the Santa Cruz Mountains. Los Gatos is bounded by the City of San Jose to the north and east; the City of Campbell to the north; the Cities of Monte Sereno andSaratoga to the west; and unincorporated County of Santa Clara and the County of Santa Cruz to the south. Give us a call if you like to see any properties at 408-656-5343.